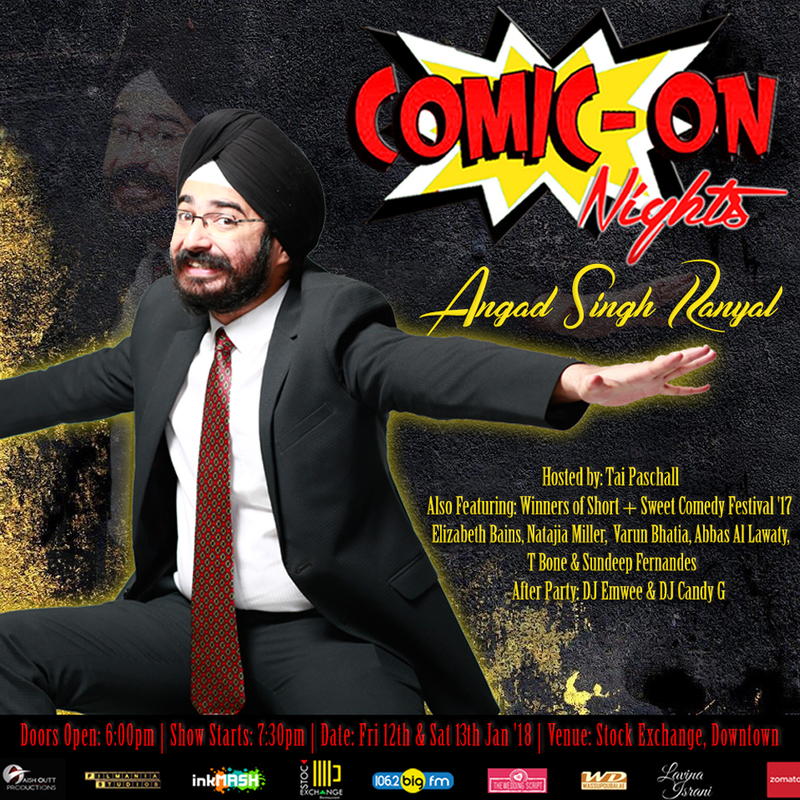 Comic On Nights ft. Headliner Angad Singh Ranyal from East India Comedy talks about his love for movies, motivational quotes, long distance driving without his wife and also his love for his wife. At the end of the show, you too will say "Marunga Dus, Ginunga Ek". Sarcasm runs in his blood, witness Angad Singh Ranyal on Friday 12th January & Saturday 13th January at Stock Exchange Restaurant (Roda Al Murooj Hotel, Downtown Dubai - Opposite Dubai Mall). Free Entry, Minimum Spend Aed 100 per person. Door opens 6 pm & show starts 7:30 pm. After Party with DJ Emwee & DJ Candy G.
Best Comedy Set (Content) - Elizabeth Bains. Best Joke - Tai Paschall. People Choice Runner Up - Natajia M.
People Choice Winner - Varun Bhatia. Judges Choice 2nd Runner Up - Abbas Al Lawaty. Judges Choice Runner up - T Bone. Judges Choice Winner - Sundeep Fernandes. For reservations call 052 675 9985.